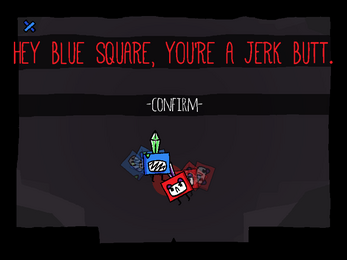 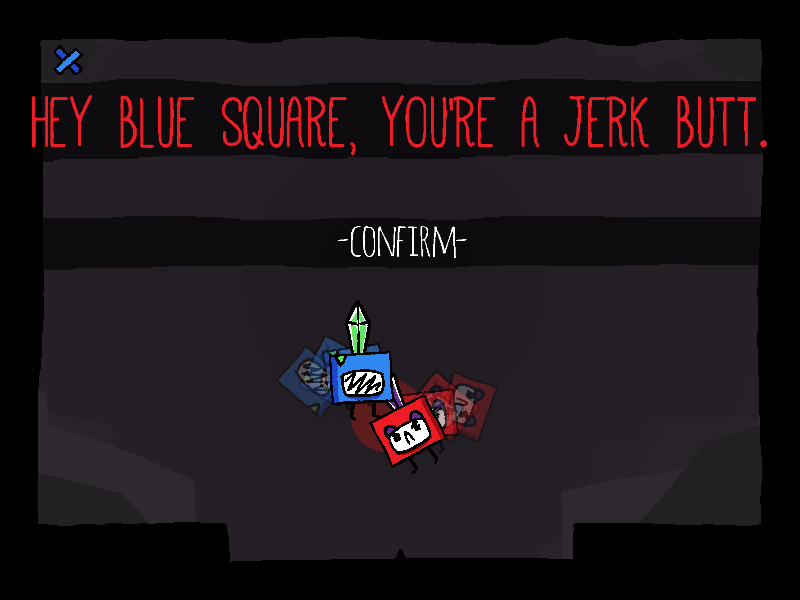 Blue Square's ultimate nemesis Red Square is for reals angry. They face off once and for all in square to square combat, choppin' each other's bods mercilessly. They spin through the air, in an endless struggle. 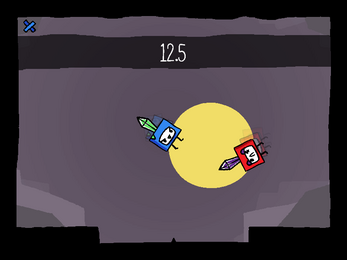 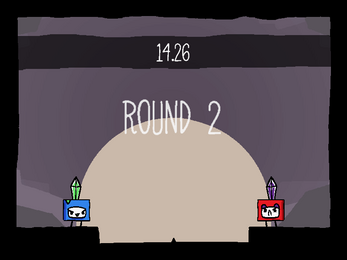 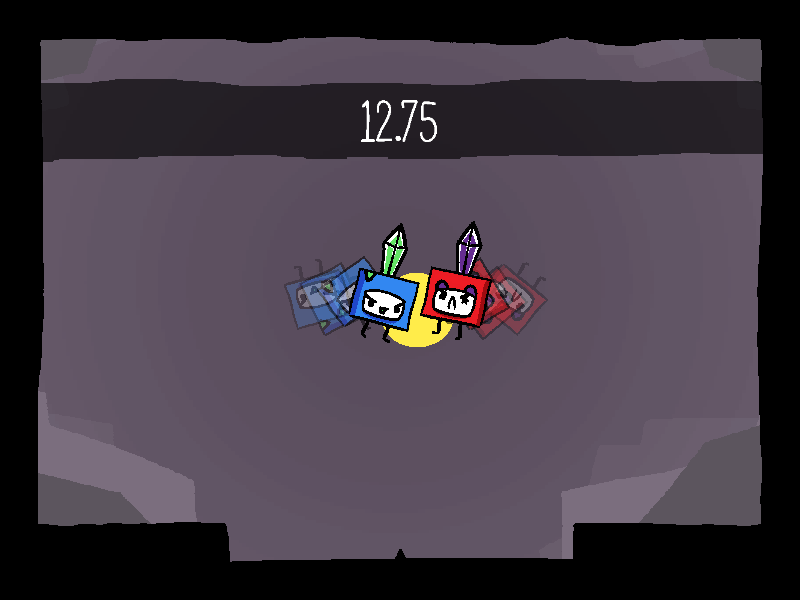 CHOPSQUARES is a small two-player versus game, where each player is a square, a square with a sword on its head. 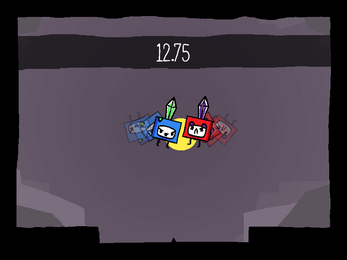 Time slows the closer both squares get. If the sword touches the other square's body they are dead. 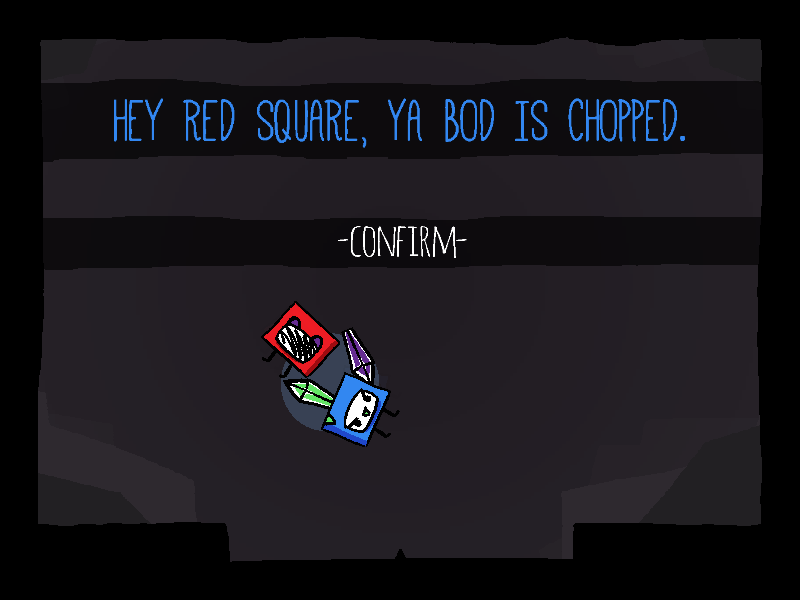 ah thanks for letting me know!